Instagram just released a new feature that many are calling a Snapchat killer. The new feature is Direct Messaging and it allows you to send private images and videos to other Instagram users. This gives a new opportunity to businesses looking to connect with Influencers and their following in a new private and “secure” manner. And like Snapchat, there are many ways you can utilize this feature to share sales, promote products, and create a dialog with your community. If you haven’t read my post, 8 Small Business Marketing Ideas For Snapchat, I give you some great ways to use the mobile app. 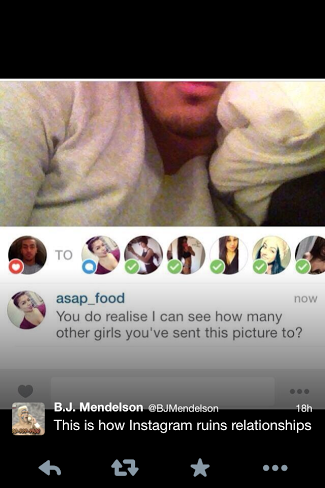 Of course you can do the same things with Instagram Direct. Things like flash sales, scavenger hunts, and messages from your company would work on both platforms. There are a few differences however that you should take into consideration when deciding whether Instagram Direct or Snapchat is better for your business goals. Snapchat’s messages self-destruct. Instagram’s don’t — they remain in your inbox. Snapchat privacy is a bit stronger in the fact that you could send a group message and no one will know who you sent it to. 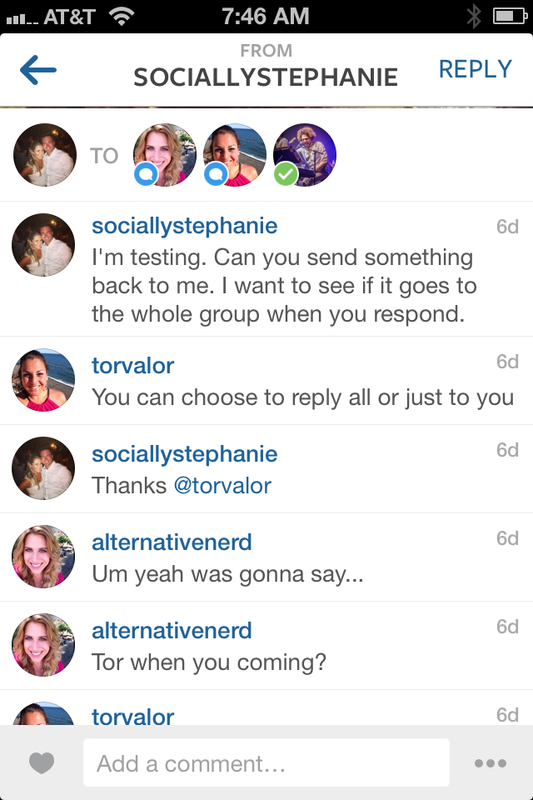 Instagram’s group messaging shows who you’ve sent to and the receiving side can see that. When you reply on Snapchat it only goes to the person who sent you the message. 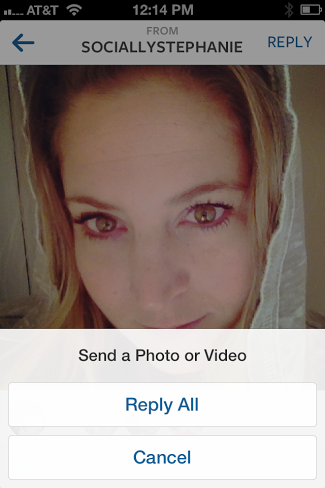 On Instagram, those receiving the messages have the ability to reply all, reply just to the sender, or comment. This can be problematic if you send a message to a group and for some reason include a hostile person who can tarnish your message with a mean or nasty comment or image/video reply. Here’s what it looks like when you have a group reply going on in a private message. It’s probably likely that you have a larger following on Instagram than you do on Snapchat, which means your private reach is probably better on Instagram. Instagram’s public arena allows you to grow faster. Snapchat is limited here. You must have a strategy when it comes to broadcasting messages on Instagram, even if it is “private” or direct. One benefit I see with Instagram, is the ability to communicate in a group setting which can strengthen your community. Because you have the ability to reply to all in the group private messaging feature, you have the ability to create a community in a private setting of top Influencers or Brand Ambassadors. This could be a great communication tool for a group and it can be a great way for you to strengthen your relationship with your Influencers. Instagram Direct allows you to create targeted messaging to different types of followers. As you know who liked certain posts, you can customize direct messaging to certain groups who you know are interested in a certain type of content you create or product you sell. You could even give promotions to certain people based on their behavior with your business and your Instagram feed. Lastly, Instagram direct allows you to contact users which you had never been able to do before. This means you can search for people on Instagram who are a fit for your brand and contact them directly. Yes, spam will increase, but it does provide an opportunity to get in front of users that you never were able to before on this platform. Instagram Direct messaging definitely has benefits and provides an opportunity for small businesses and ecommerce sites. As with any community or social network, you need to follow the guidelines set forth by the users. Spam won’t be tolerated. 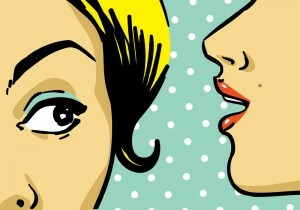 Instead think about providing added value to your followers. How do you see this new feature impacting your Instagram following? Wow, I hadn’t yet thought about using the new direct messaging feature for marketing purposes. I imagine in the near future Instagram will add a setting to allow/not allow direct messages from people who aren’t following you. It looks like right now you can direct message anyone you are following (and they don’t have to be following you). However, you can’t send to someone you aren’t following, even if they are following you. If spammers start going crazy, I could see more people taking their Instagram “private” if there aren’t good spam policies (like the one I mentioned above) in place. Yea, as with any network, spam is always a problem. I hope people do it right and not ruin it for everyone. Thanks Whit! All your articles were such great, been helping our business so much! Thanks ton!